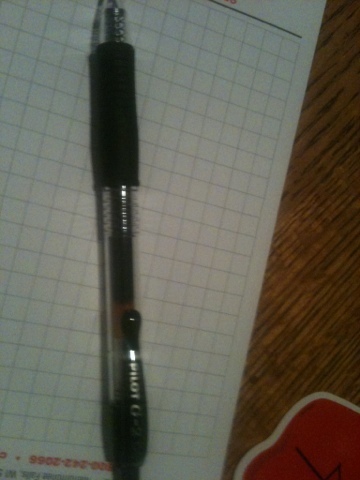 This is my pen. There are many like it, but this one is mine. End of year processing continues. Made it into work early and ended up staying late. Actually makes for a compressed kind of a day. Back hurts after all that lifting and standing, but... Well more of the same tomorrow.